Pork jowl, also known as pork cheek is one of my favorite cuts of pork. When jowl is braised over a long period the meat becomes "melt in your mouth" tender. Pork cheek is both chock full of fat and collagen, so it needs to be cooked low and slow for best results. Think of past experiences with cuts of meat like oxtail, ham hock, and shoulder. Pork cheek is popular across the world, I have seen it atop a bowl of ramen as Chashu, cooked in a Sichuan style, and cured as the Italian Guanciale. Pork cheek shares many similarities with pork belly, and I have found that it is a wonderful substitution in many cases. One of the best arguments I can make about using pork cheek is the comparable cost per pound. As pork belly has risen in popularity, so has its price. Pork cheek is less expensive than pork belly, I bought mine from a higher priced butcher store and still paid under 5 dollars for a pound. This dish may appear somewhat exotic, but it was meant to be a homey dish to enjoy during the cold winter months. Stews, soups, and other braises are perfect for this time of year and perfume homes with their irresistible scents. Like many braises, this dish will take over three hours to prepare, so I suggest planning ahead, embracing the smells, and enjoy the lengthy process. Trim the fat off of 1/2 to 1 pound of pork cheek until the majority of its fat is removed, then salt. Heat up an enamel coated dutch oven or another pan with plenty of high heat oil. Brown all sides of the pork cheek and set aside discard leftover oil. Add roughly 1 T of butter into the Dutch oven or whatever pan you are using and over medium heat brown shallots, celery, and garlic. Once browned, deglaze with 2 c of dry white wine, scrape the residual fond. Place the browned pork cheek back in with the wine mixture, and add two skinless Fuyu persimmons. Cover Dutch oven with a tight-fitting lid and cook in a 250F oven for 3 hours, if you are not using a Dutch oven, transfer everything to a lidded oven safe pot or other braising cookware. Once again remove the pork cheeks from the Dutch oven and set aside. Transfer the braising liquid into a blender and blend until smooth, transfer back to the Dutch oven. Add 1 T of sugar and adjust seasonings if necessary, and reduce on the stove top over medium-high heat. Once thickened to a gravy-like consistency remove from the heat. Serve pork cheek with a side dish(es), and top with persimmon gravy. Welcome back to Joy and Feast. As you may have noticed the website and format, have changed, and I believe it is even better! I am extremely excited to be back and working on new content which includes videos for each post. I wanted to kick off the first post of 2016 with a recipe influenced by a friend I met two years ago around this time. My friend in Berlin let me stay at his apartment for about a week over new years in 2013-2014. He knew that because I was a cook, I would be able to prepare one of his favorite dishes, which happened to be anything cooked Au gratin. Au gratin is a French term which essentially refers to a browned crust left behind by a sharp cheese or bread crumbs. (cookthink.com) Most commonly an Au gratin dish refers to potatoes, pasta, or vegetables that are mixed in a bechamel sauce, topped with breadcrumbs, and then baked in the oven or placed under a broiler. Gratin dishes might be more common than one would think. Many Americans love gratin dishes like macaroni and cheese, perhaps thanks to the common boxed versions with powdered cheese. Gratin can be much, much better than a blue box of mac n cheese, and this Beer and Cheese Gnocchi Gratin proves it. I would imagine that my friend in Berlin would approve. Bring a pot of salted water to a boil. Cook 2 c packaged gnocchi until they float to the surface of the boiling water, strain and set aside. Melt 2 T of butter over medium heat, once melted slowly add 2 T of all-purpose flour while continuously whisking. When the roux is a thick consistency add 4 c of Whole milk and continue to whisk. Once the roux is incorporated into the milk, add 1 c of amber ale to sauce, whisk continuously. Add 2 c of shredded cheese in several batches. Whisk the whole time until the sauce is smooth. Add 2 t of Kosher salt, black pepper, and nutmeg to the beer and cheese bechamel sauce, when fully mixed take off of heat and reserve. Heat up a skillet, take the reserved gnocchi and lightly saute in butter. Once browned add to an oven proof dish and combine with beer and cheese bechamel sauce. Add freshly grated Parmesan cheese and bread crumbs over the top of your gnocchi and sauce mixture. Cook in the oven for roughly 30 minutes. To achieve a very brown crust, place the baking dish under the broiler for a few moments. Watch until you are satisfied with the color. "What is gratin?." Cookthink. N.p., n.d. <http://www.cookthink.com/reference/926/What_is_a_gratin >. 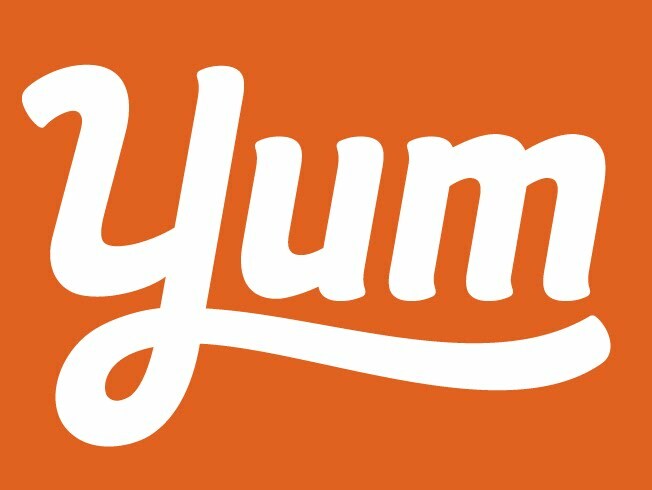 When you find any Joy and Feast recipe delicious and interesting, please hit the Yum button in the top left corner of the page.